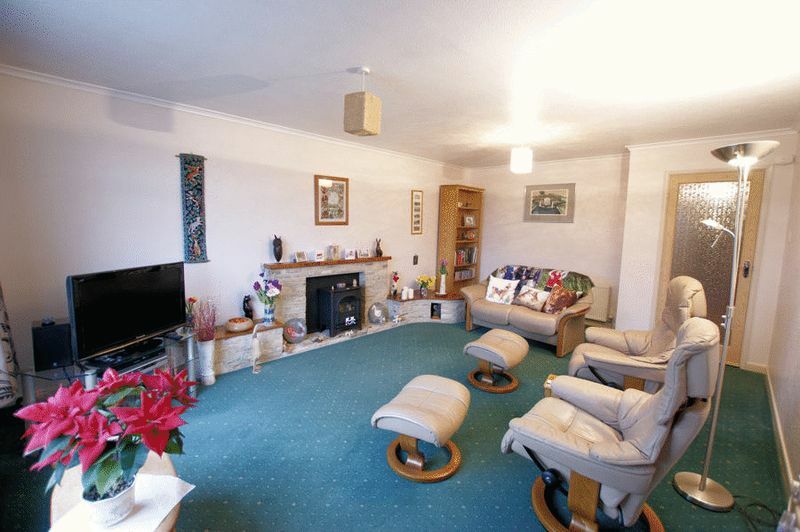 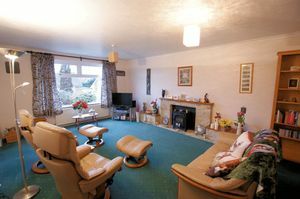 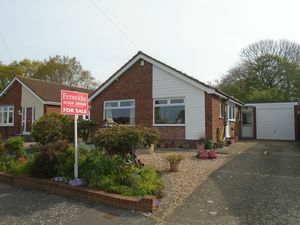 Three bedroom detached bungalow with own driveway, garage and enclosed rear garden. Double glazed picture window to front elevation, radiator, cupboard containing meters. 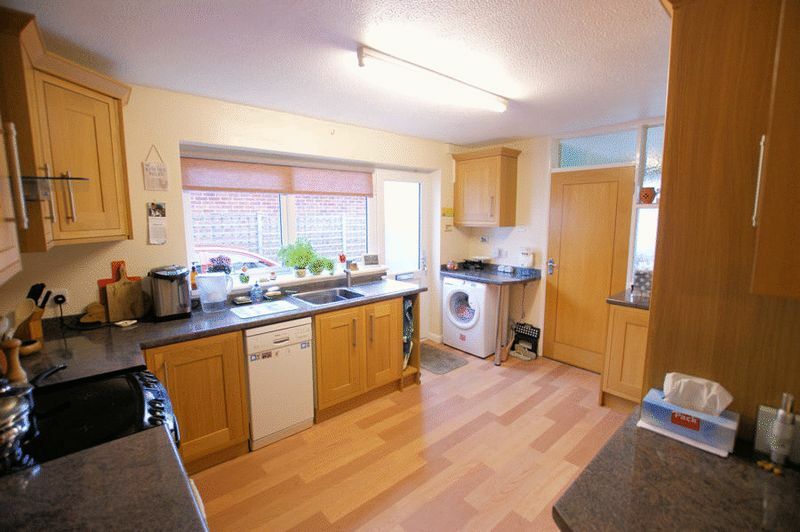 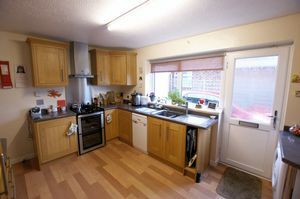 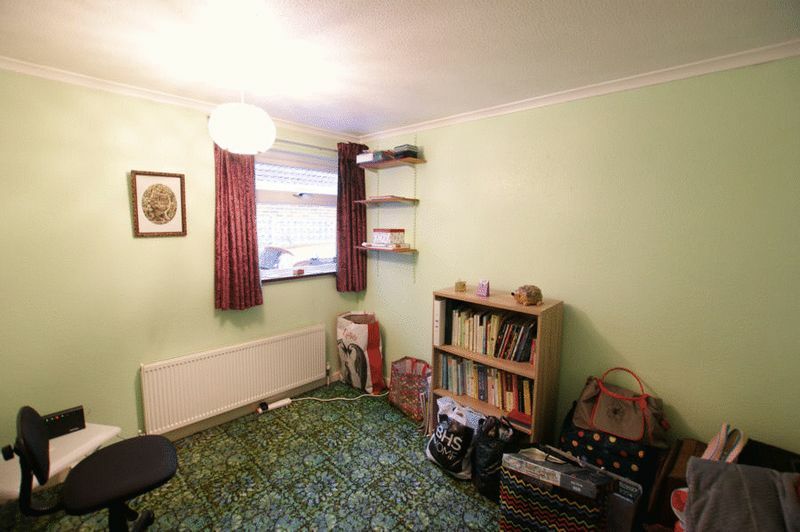 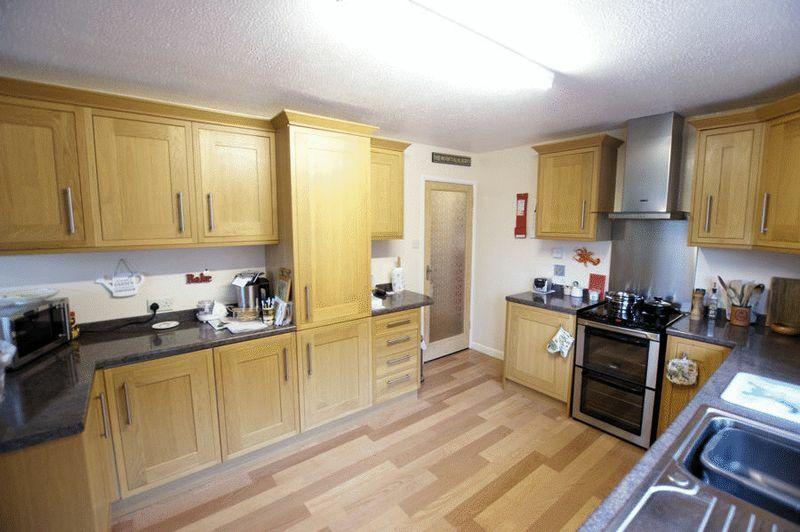 Obscured double glazed window, close coupled W.C., wash hand basin with tiled splashback, coving to ceiling, radiator. 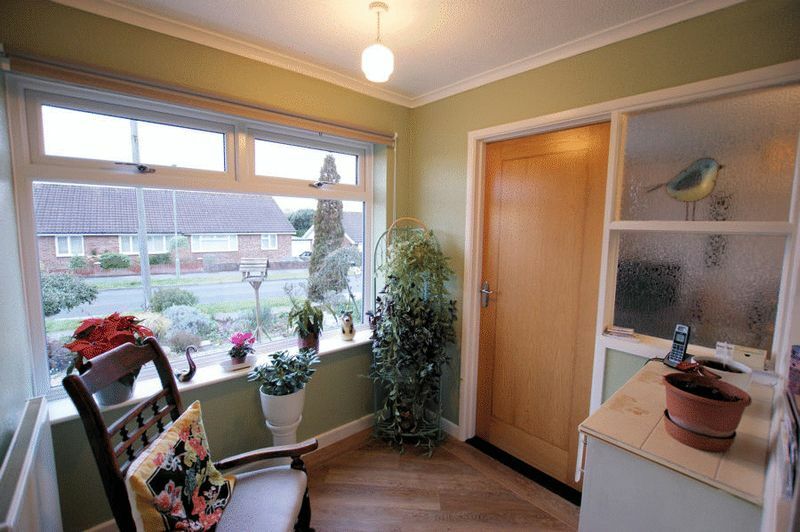 Double glazed picture window to front elevation, radiator, coving to ceiling, stone fireplace extending to side with log effect gas fire inset, raised hearth, further radiator. Cupboard containing wall mounted Valiant gas central heating boiler with shelving, access to loft. 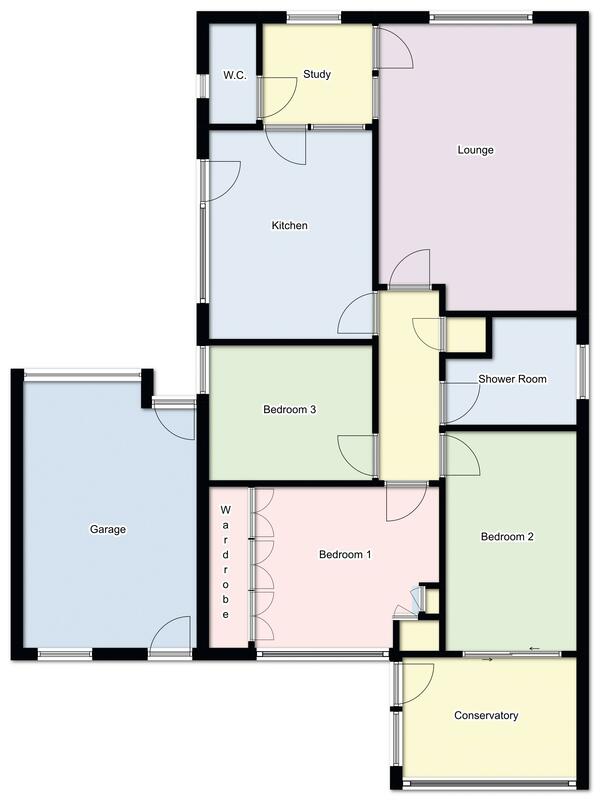 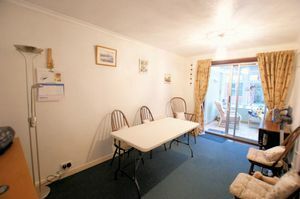 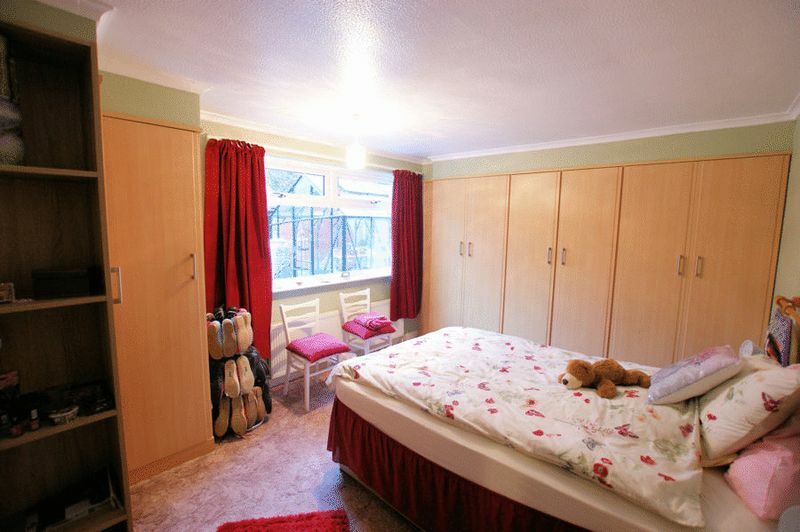 Double glazed window overlooking rear garden, range of fitted wardrobe units, radiator. Double glazed sliding patio doors giving access to conservatory, radiator, coving to ceiling. 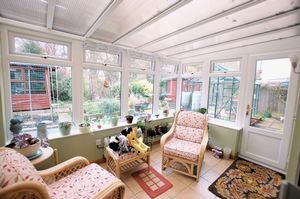 Double glazed window and door leading to garden, tiled floor, polycarbonate ceiling. 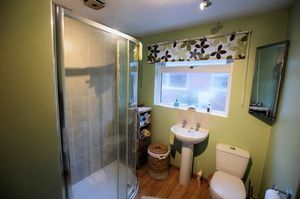 Obscured double glazed window to side, close coupled W.C., pedestal wash hand basin with tiled splashback, shower cubicle, long-line chrome towel rail. 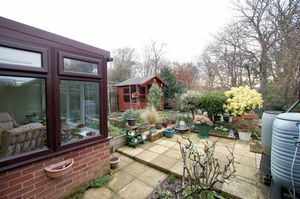 Driveway to garage, garden to the front with a fine array of shrubs and shingled area, garage has up and over door, obscure double glazed door giving side pedestrian access, window to rear and door giving access to garden, power and light connected. 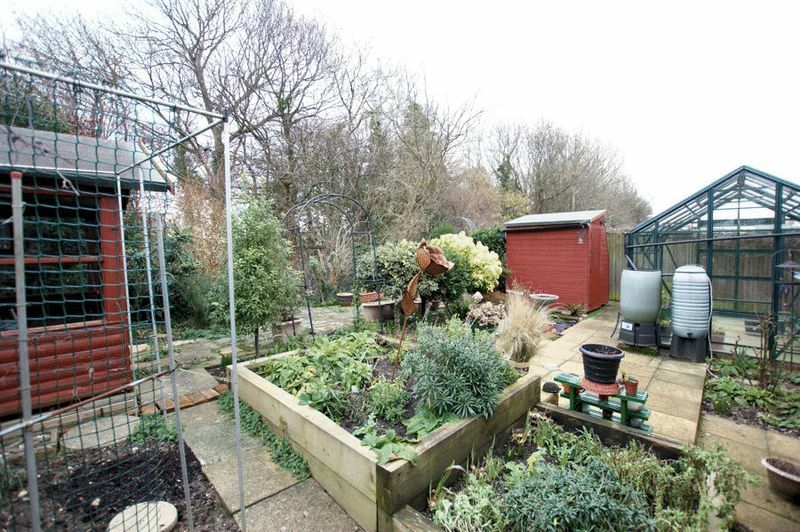 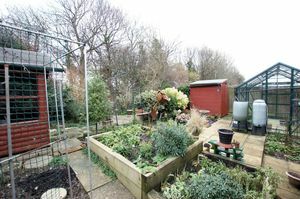 Rear garden is terraced, shrubs and bushes, greenhouse, garden shed, summer house and outside water tap.